What does success mean to you? Is success measured in professional position, status of the operation where you work, public recognition, accolades, money, lifestyle, or family? Maybe, it’s a combination of all of these factors and some level of balance between them. However you measure success there is a way to get there if you start with goals and build a strategic path to accomplish them. “When you set your mind to reaching the goals that you define then a map can be drawn with a clear path.” If this were entirely true then success would be a simple process with pre-determined results. What many people ignore is the inevitable curve balls that life tends to toss in your path. Failure is likely part of any persons’ roadmap and although it may be difficult to anticipate everything that might go wrong, it is possible to build a mechanism for dealing with missteps. Yes, the chef must have the knowledge of who the guest is and what he or she wants. The minute that a chef feels that the guest is there to simply support what he or she wants to make then the lines of limitation are drawn. The answer is yes, not what is the question? You are in the service business – if you have the capability of meeting a guest or employee request then you should begin with the intent of meeting their expressed needs. This is how relationships in business are built. Consistency is the first rule. Be dependable as a provider. Make sure that your product and service is wrapped in trust and know how important it is that you meet or exceed guest expectations every time. Once a guest knows that their experience will always be where it should be, they will return time and again. Once the employee knows that you will always approach a situation with a certain level of consistency then they will never fear an outcome. The temptation to find a shortcut or to let quality slip may always be present, but the successful chef will NEVER allow this temptation to drive a decision. Quality is the reputation of the business and the people who tie on an apron. Chefs and cooks are proud people who tend to believe that the restaurant experience is all about the products they produce. The level of success that a restaurant earns is more often than not determined by the quality of real service that is provided. Treating customers as guests, learning their names, accommodating their special requests, and treating them as treasured friends is all part of the experience and is what brings a customer back. The chef needs to respect the importance of the front of the house. Recovery from mistakes is as important as doing a job perfectly the first time. Customers have become jaded and have very low expectations of recovery from business mistakes. When they complain – nothing substantial is done, so far too many have chosen to rely on social media for expressing their dissatisfaction. In those rare cases where an operation recovers quickly and effectively and “Makes It Right”, the guest feels rewarded for expressing his or her concerns and tends to become a loyal supporter of the business that is responsive. Learn how to recover well. A table visit from the chef, a follow-up phone call with an apology and gift, any level of special treatment for bringing a concern to the chef’s attention will go a long way towards success. Financial performance is a team sport. 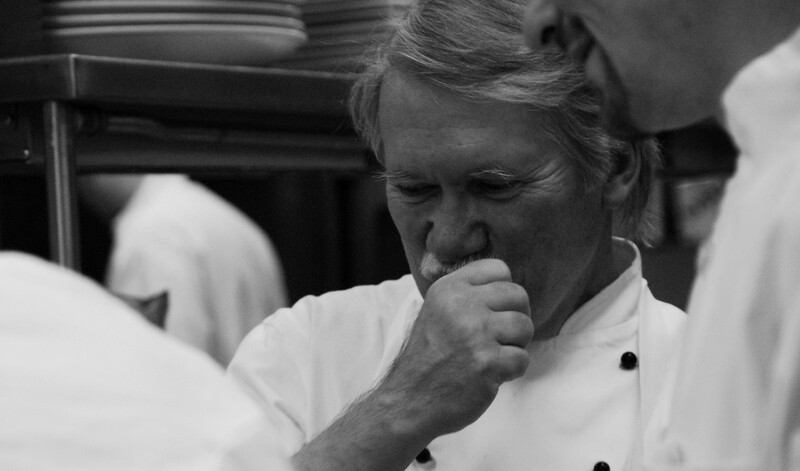 The chef isn’t the answer to every challenge – it is a team effort that sets the stage for long-term success. The chef must focus on building that team with shared values, the right level of passion, the dedication to service, and the skills that will allow excellence to drive their work. Every dollar and moment in time that is invested in self-improvement will pay you back tenfold. Invest in your team and they will help you to rise up. Every dollar and moment in time that is invested in improving the skills and knowledge of your team will pay you back even more so. Remember that your staff and the guest want to look up to you as an example. Be true to the character of a professional: honesty, trustworthiness, and consistency. Be that example for others. It is much easier to follow than to lead, but those with the ability to put original thought into action and lead a team in exciting, new directions are the chefs who build pride and enthusiasm and allow others to think differently. Choose your friends and relationships wisely. We are a reflection of those with whom we choose to associate. Align yourself with others who have strong character, are passionate about what they do, have empathy for others while insisting always on excellence as a key driver, and who will provide honest critique of their and your actions. This applies to friendships, co-workers, your sous chefs, and personal relationships in life. Make the time for family. Far too many talented chefs have spiraled downward not for a lack of talent or a loss of commitment to the job, not for a lack of resources or even appreciative customers, but for a lack of balance and commitment to family first. Don’t allow yourself to forget what is most important. Is it the quality of your cooking or your commitment to the restaurant, or is it the way that you lead and how you invest in others. What defines you is how others perceive you to be and how dedicated you are to your core values. Separate what you do from who you are. Accept others flaws and be aware of your own. Everyone is different, everyone makes mistakes, everyone is great at something and not so much so with other tasks. Once you accept this then you can begin to focus on the positive and help yourself and others with those areas of weakness. Flaws are only limiting if you allow them to be. Have plenty of mirrors in your home. Tis better to give than receive. Look at those people whom you admire and respect. I would be willing to bet that they are the people who give of themselves and do whatever they can to share with others. Find where you can have the greatest impact. Chefs and restaurateurs who give of their time and resources to help people in need always humble me. Whenever there is a natural disaster you will find them there to help. I am always impressed with those chefs who choose to mentor young cooks and teach them how to set a path for a positive career and life. Those chefs who gave up the crazy adrenaline of the restaurant business to join the ranks of teachers helping young cooks begin a fruitful career always impress me. I am always impressed with chefs who take on a cause for the betterment of the industry and those who choose to spend a life behind the range. Where will you have the greatest impact? Become a problem solver, not a finger pointer. It is very easy to become caught up in the challenges and negative aspects of the food business. Anyone can complain, but only a few will rise up with the answers and invest the time in helping a restaurant or the industry at large, make necessary changes. Those who make a difference are the ones that dot the “i’s” and cross the “t’s”. This is a business of details and everything is important. Those that make a difference are the ones who leave no stone unturned. Let excellence be your conscience. Take a chance now and then. Sometimes you just need to take a chance and go for it. If you find a way, if you have a great idea, if the solution seems to be staring you in the face – then take a chance. This is what successful people do. ← COOKS – YEP – WE’RE DIFFERENT – SO WHAT?